A life-long passion for dentistry has been the driving force in Dr. Zagami's pursuit of dental excellence. After finishing his Bachelors of Science at Wagner College, he went on to complete his Doctorate of Dental Science at New York University College of Dentistry. "I knew dentistry was for me when I was just 8 years old. Having just had a mouthful of cavities filled, I was mesmerized by my dentist's skill. Since then, mentoring has always been important to me. Having had world-renowned clinicians as instructors has led me to my ultimate pursuit of specialized dentistry." "A solid educational foundation has allowed me to focus on providing you with the care you deserve. My personal and professional commitment to exceptional dentistry means I continue learning every day. I want you to benefit from the newest treatment and latest technologies." "I firmly believe in a comprehensive approach to restorative dental treatment. This approach is best brought about by the efforts of a unique team; a Surgical Specialist, a Master Technician, and a Prosthodontist. I feel the combined ability of the team I rely on ensures the highest standard in both function and esthetics." Just as he has received excellent training, he also gives back to the dental community. He was an attending instructor at Lutheran Medical Center and NYU College of Dentistry. 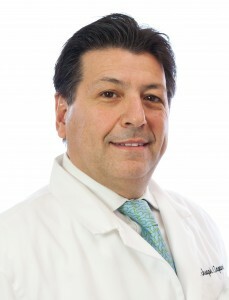 On numerous occasions Dr. Zagami has been invited to lecture at the annual Greater New York Dental Meeting, and well as various other New York area dental societies and study clubs. He has helped in the mentoring of future dentists to train in some of the finest dental schools in the country. He has served the West Side community at large for over twenty years of private practice. Recognizing the importance the arts play in this community, he developed "The Performing Arts Program" in order to serve the unique needs of artist and performers. "Practicing in New York City as well as New Jersey, allows me to treat a diverse cross-section of patients. From the worlds of dance, theater, and music to corporations to small business owners and local residents, we have seen many changes in dental technology and proud to be able to take care of our patients ever changing dental needs." As a devoted husband and father of three girls, Dr. Zagami brings strong family values into his practice. He considers you, his dental patients, to be an extension of his family. His commitment to giving compassionate, gentle care is long-standing and sincere. He is concerned about treating you as a, "whole person, not just a dental case". To that end he has been with Dr. James Courey and the team of Specialized Dentistry of New Jersey for over one year now. "Working in Manalapan New Jersey treating neighbors from Freehold, East Brunswick, Old Bridge, Monroe, Marlboro and Englishtown, (I live in Monmouth County with Dr. Courey, is such a joy. The collaboration between me and Dr. Courey has produced some of the best outcomes dentistry has to offer." "I could not imagine being fulfilled in any other profession as I have been in the field of Dentistry."